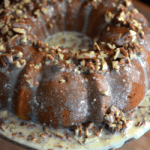 Pecan Pumpkin Bundt Cake. 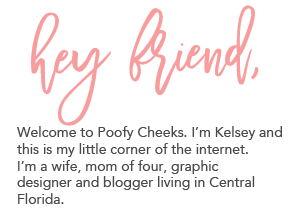 This post contains affiliate links to products I use and recommend. By making a purchase I may receive a small commission. I confess that I LOVE garage sales. I love a great bargain and someone’s trash is another person’s treasure. AMIRIGHT!? Sure there is a bunch of crap but then there are those treasures you can get for a bit of nothing. Last year I was on a recipe book kick and would buy almost every recipe book I came across at garage sales or thrift stores. I grabbed an old church recipe book and it had a recipe for Pecan Pumpkin Bundt Cake. I flagged the page, made it and I have made it a few times since. It’s safe to say this is a recipe I’ll be making each fall. 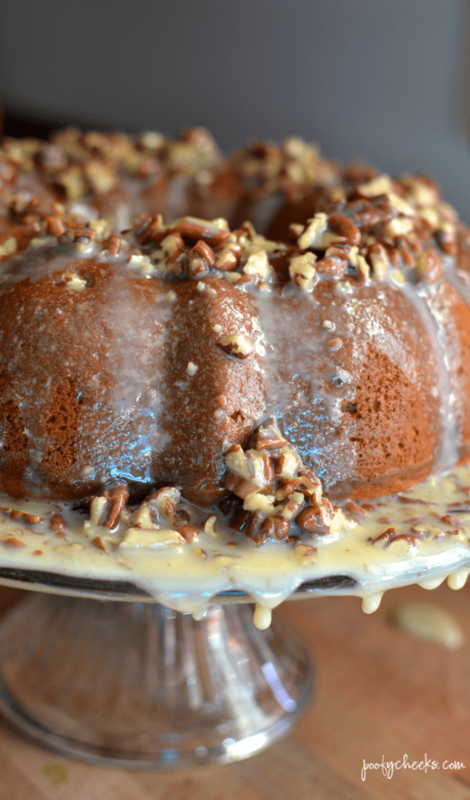 This is THE BEST Pecan Pumpkin Bundt Cake I have ever tasted. It isn’t overly pumpkiny ( yeah, I made that word up) so even the kids devour it. It is also really simple and delicious. Did I mention that part yet? The part that takes this pumpkin bundt cake from great to THE BEST is how moist it is. Oh, and that pecan icing that gets drizzled over the top is perfection. I like to use a straw to poke holes in the cake so the icing can soak into the middle making each bite better than the last. If you are hosting a fall party or holiday I promise this cake will be the talk of party. This plain pumpkin bundt cake is about to be all dressed up. HELLO do you see that icing full of pecans dripping down the cake? My daughter was literally licking it off of the cutting board she thought it was so good. Of course five seconds later she had it in her hair. She is three years old so she didn’t care. Sorry for all of the pictures but isn’t this cake just plain pretty? In a mixing bowl mix together the first 8 ingredients. Pour cake mix into a greased bundt pan. Bake the cake at 350 degrees for 45-50 minutes. Once the cake is finished remove from the oven and allow to cool for 10-15 minutes before turning out onto a plate. In a small saucepan combine the sweetened condensed milk, 3 Tbsp. unsalted butter and chopped pecans heat until the butter is melted. Pour the icing over the top of the cake and allow to completely cool. I hope you are all having a great Fall and add this recipe to your Fall baking list. If pumpkin isn’t your thing try my mom’s apple dumpling recipe instead! Making this for Thanksgiving and am wondering if it needs to be refrigerated? Or would it be ok if I made it today and let set out until tomorrow? It would be fine either way. I let mine sit out overnight without any issues but the refrigerator wouldn’t hurt it! Happy Thanksgiving!! you could always DIY a cake box mix (pinterest has many recipes) if you want it fully from scratch. i did that b/c we didn’t have a cakebox mix in the house & it turned out great! this recipe looked too good to pass up b/c of a tiny issue like a boxed cake mix ? Thank you Christine! I agree!! This looks & sounds wonderful! Does the icing thicken up after it sets?